Conference • Party leader hopes calling inspires more Utah Mormons to join up. 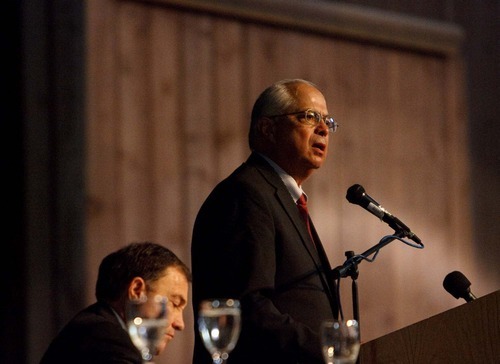 Newly called Mormon general authority Larry EchoHawk is being hailed as a role model by Democrats and American Indians. 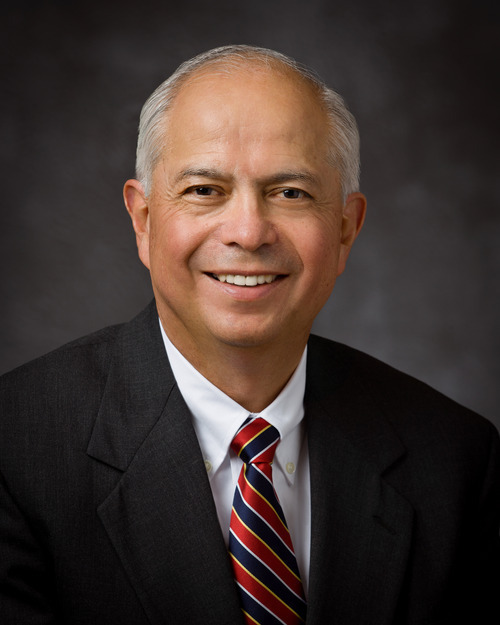 Echohawk, 63, a Pawnee and head of the Bureau of Indian Affairs in the Obama administration, was named to the LDS Church's First Quorum of the Seventy during Saturday's General Conference. EchoHawk, a prominent Democrat, served as Idaho's attorney general and was the party's nominee for governor of the Gem State in 1994. "[EchoHawk's appointment] helps to obliterate the old myth that you can't be a good Democrat and a member of the LDS Church," said Jim Dabakis, Utah Democratic Party chairman. "It was never true." Dabakis also hopes EchoHawk's call shows more Utah Mormons that the Democratic Party shares their values. "Only 9 percent of LDS people [in the state] self-identify as Democrats," Dabakis said. "One of our objectives is to reach out to LDS people and say we are the party of values, and we want your values." Dabakis said EchoHawk has earned the respect of Republicans and Democrats in Washington and will be missed when he leaves his federal post. His boss at the Interior Department shared those sentiments. "With Larry EchoHawk's leadership," Secretary Ken Salazar said in a statement, "we have opened a new chapter in our nation-to-nation relationships with American Indian and Alaska Native tribal governments, accelerated the restoration of tribal homelands, improved safety in tribal communities, resolved century-old water disputes, invested in education and reached many more milestones that are helping Indian nations pursue the future of their choosing." Interior said EchoHawk is expected to step down after a period of transition to begin his new ecclesiastical role. Shirlee Silversmith, director of the Utah Division of Indian Affairs, sees EchoHawk's new assignment as good news for all Indians. "It is a very wonderful honor for native people when we see one of our own people in this position," she said. "I think for those who are of that faith, it is wonderful." Silversmith, who has met with EchoHawk several times, praised him as a role model for Indian youths, fulfilling the hopes of many tribes. "Many people are pleased," Silversmith said, "with what he has done on behalf of our tribal nations." 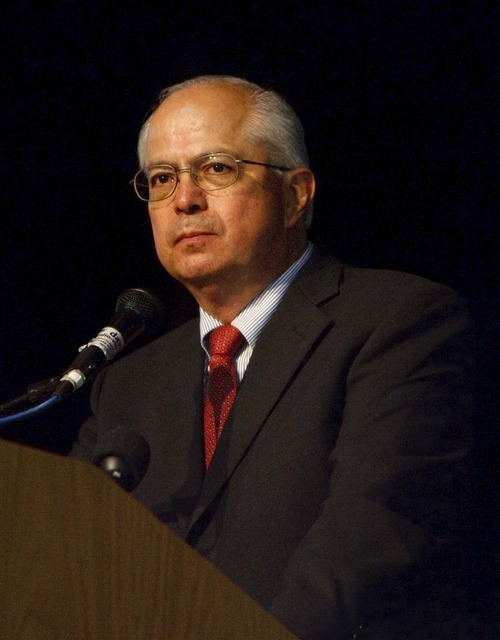 EchoHawk is the second American Indian to be appointed a general authority of The Church of Jesus Christ of Latter-day Saints. In 1975, George P. Lee, a Navajo, was called to the Seventy by then-LDS Church President Spencer W. Kimball. Lee served for 14 years until he was excommunicated for "apostasy" and "conduct unbecoming a member of the church." 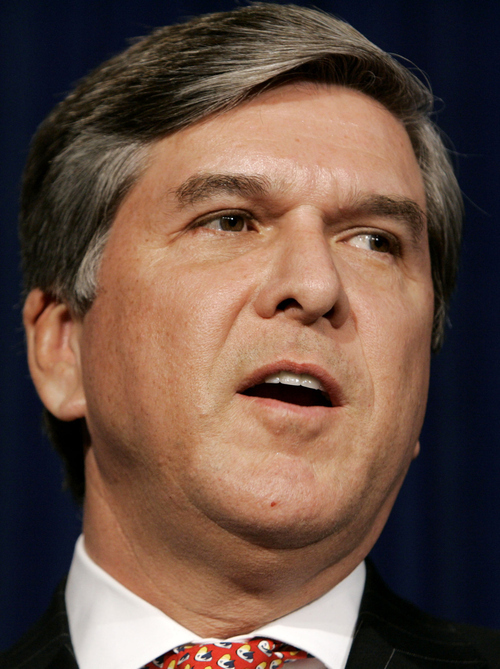 Lee, who later pleaded guilty to attempted sexual abuse of a child, died in 2010 at age 67. EchoHawk attended Brigham Young University on a football scholarship, playing in every game between 1966 and 1969. He earned Academic All-Western Athletic Conference honors before graduating in 1970. He earned a law degree from the University of Utah in 1973. After serving as Idaho's attorney general, EchoHawk taught law at BYU's law school. James Warren "Flaming Eagle" Mooney, an elder with the Oklevueha Native American Church, said EchoHawk is a good man and labeled his LDS Church calling a "good move." Salt Lake Tribune reporter Thomas Burr contributed to this story. 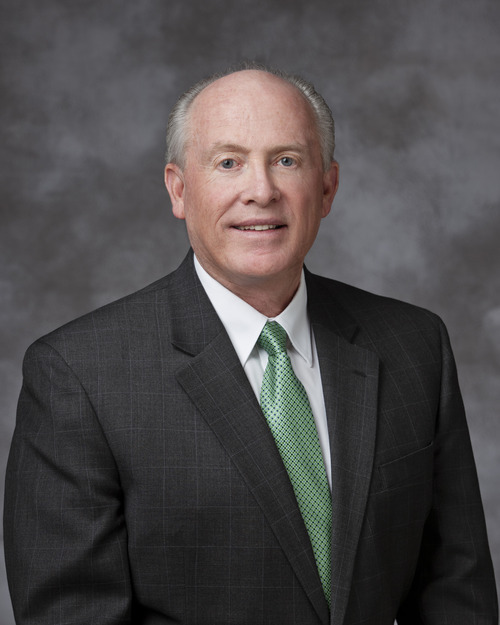 Elder Richard J. Maynes was named to the presidency of the Quorum of the Seventy, succeeding Elder Steven E. Snow, who has been appointed LDS Church historian. 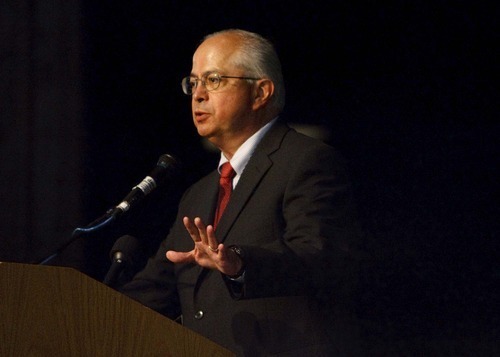 Maynes, 61, previously served as executive director of the church's Family History Department and as assistant executive director of the priesthood and missionary departments. 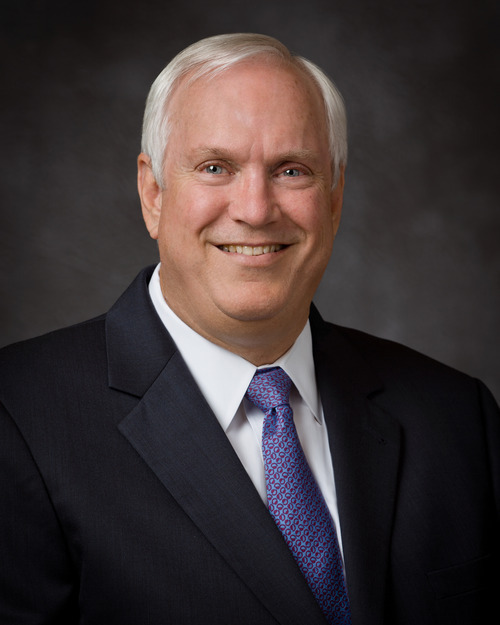 Elder Robert C. Gay, 60, was called to the First Quorum of the Seventy, after serving as an Area Seventy. He has a bachelor's degree in economics and statistics from the University of Utah and a doctorate in business economics from Harvard, where he also worked as an economics instructor. 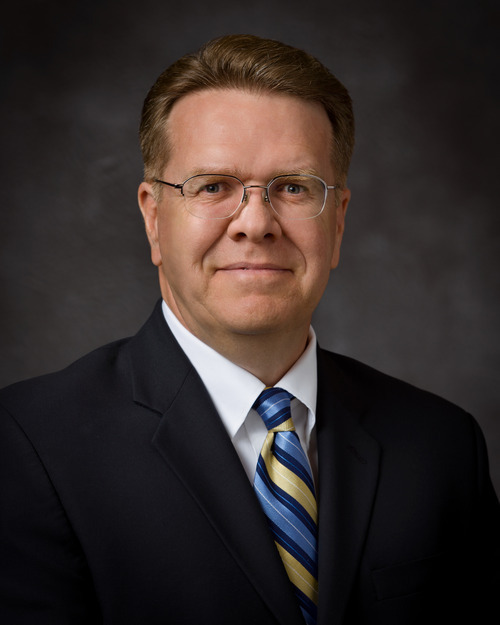 Elder Scott D. Whiting, 50, was also appointed to the First Quorum of the Seventy. He previously served as an Area Seventy and had presided over the Japan Tokyo North Mission. He has a bachelor's degree in Japanese from Brigham Young University and a law degree from the University of the Pacific. He has worked in agricultural management and real-estate development. The church also added 40 new Area Seventies, including former U.S. Sen. Gordon H. Smith, R-Ore.